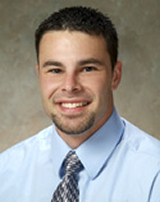 Jason is a graduate of Franklin Pierce University earning his Doctorate in Physical Therapy. Jason began his career working at Manchester Sports and physical therapy for four years prior to opening Exeter Sport & Spine Therapy as a Partner/Owner. Prior to pursuing his Doctorate degree, Jason earned his undergraduate degree in Exercise Science from Plymouth State University in Plymouth, NH, where he developed an interest in working with athletes of all ages. After playing baseball and graduating from Plymouth, Jason chose to work for 2 years at a baseball training facility working one on one with aspiring athletes interested in improving or learning the game of baseball. Since beginning his career in physical therapy, Jason has focused his interests on orthopedic/spinal based conditions and enjoys helping patient regain an active lifestyle. Jason has taken continuing education courses on mulligan joint mobilization, IASTM soft tissue mobilization techniques for scar tissue, Positional vertigo symptoms and most recently Dry Needling courses to enhance his treatment skills. Jason currently resides in Deerfield, NH. Make an appointment with Jason Today! 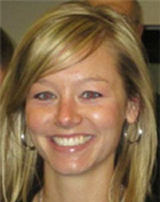 Kate graduated from Simmons College with her Doctorate degree in Physical Therapy and concentration on Health Studies. After her residency, Kate continued to focus on outpatient orthopedics before partnering up with Matthew Carrico at Hampton Physical Therapy in 2005. In 2008 Kate recognized a need for physical therapy in Seabrook, NH. Kate decided to expand their practice to Seabrook where she continues to aid the needs of patients. In 2013 she partnered with Jason to open Exeter Sport & Spine Therapy in the winter of 2013. 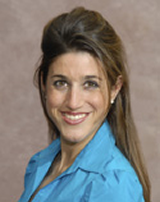 Ashlee graduated from Franklin Pierce University with her Doctorate of Physical Therapy in March 2012. Prior to completing her graduate work, Ashlee received her Bachelors of Science in Exercise Science from Colby-Sawyer College in New London, NH. Ashlee has spent the last 4 years working within the Pinnacle Rehabilitation Network and has been working at Exeter Sport and Spine Therapy for the past 2 years. Ashlee has focused her outpatient career in helping patients recover from surgeries and decrease pain to regain their active lifestyles. Ashlee has taken continuing education courses in kinesiology taping, IASTM, Therapeutic Tai-Chi and became certified in Dry Needling in 2016. Make an appointment with Ashlee Today! Joe graduated from the University of New England in 2017 with a Doctorate of Physical Therapy. Prior to obtaining his education in physical therapy, he received a Bachelor of Science degree in Exercise Science from Towson University. Joe has taken continuing education in dry needling and spinal manipulative therapy which has expanded the scope of treatments he provides to patients. Since leaving school, Joe has focused his career on treating patients with orthopedic and neuromuscular conditions to reduce their pain and maximize their recovery. In his free time Joe enjoys surfing, playing soccer, and running. Make an appointment with Joseph Today!